FOX Sports’ Cleatus is in Arlington, Texas this week for the UIL Texas High School Football State Championships at AT&T Stadium — home of the Dallas Cowboys. 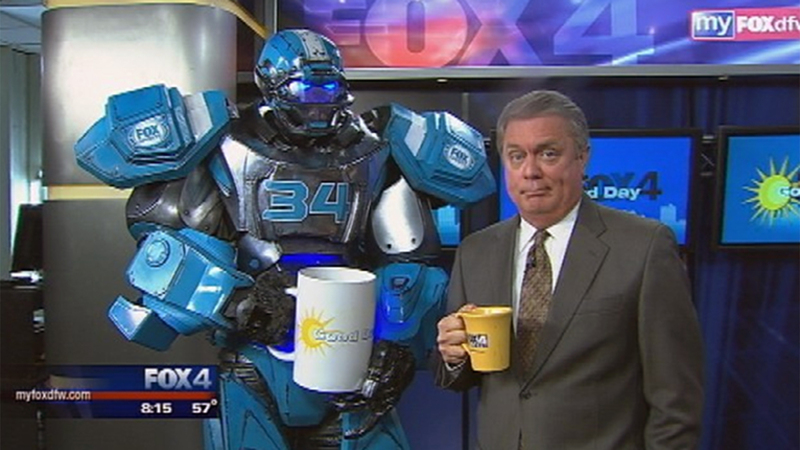 But before the games kicked off on Thursday, the life-size robot stopped by Good Day FOX 4 in Dallas to check on the morning traffic. Post by Good Day Fox 4.